Experts advisory: Will the revamp of Canada’s Food Guide meet the needs of all Canadians? 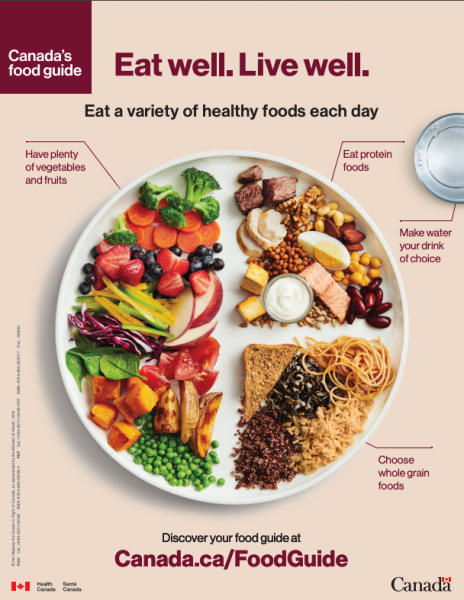 TORONTO, Jan. 22, 2019 – Canada’s revised food guide unveiled today by the Federal Government waves goodbye to the four food groups Canadians have been following for years and now promotes the health benefits of plant-based eating with less emphasis on dairy and meat products. Additional changes include less emphasis on serving sizes, drinking more water, eating together with others and using food labels to make choices. Canada’s Food Guide was last updated in 2007 when experts touted eating from a "rainbow" of foods. Today that rainbow was replaced by a “plate” of food that aims to meet the needs of all Canadians. What do the changes mean for families? How do the changes make a difference for food groups and overall weight and diet? How does the new guide emphasize healthy eating from a more holistic approach? What is the impact of less emphasis on meat and dairy products for Canadians? Does the new food guide allow for and promote greater variety or choice? How does the new guide cater to people and preferences in a multicultural country like Canada, while still promoting a healthy lifestyle? Professor Josse’s research looks at utilizing diet with different modes of exercise (i.e. aerobic, resistance, plyometric) to facilitate healthy changes in body composition, body weight and bone in different populations across the lifespan.